The Bible is full of descriptions of God’s faithfulness — He is abounding in it, His faithfulness reaches to the heavens, faithfulness surrounds Him, His faithfulness lasts through generations etc. God shows His faithfulness in Jesus who was willing to go all the way for us — even to die on the cross for us. Sometimes when we face problems and challenges, we think God has abandoned us. But He is always there. 2 Thes 3:3 But the Lord is faithful, and he will strengthen you and protect you from the evil one. 2 Tim 2:13 if we are faithless, he remains faithful, for he cannot disown himself. Yes, we fail. Yes, we fall. Yes, we do bad things and wrong things. But God is faithful and He never changes. His covenant is with Jesus, and Jesus never changes. So our relationship in Him is always secure. And the best thing is, God is the one who keeps us faithful in Him. It’s the work of His Holy Spirit who lives in us! God keeps us in His faithfulness. Imagine a young child having to carry a glass of water without spilling a drop. It may seem difficult and challenging or even impossible. But God is like the parent whose hands are also on the cup to prevent it from falling. 1 Corinthians 1:8 He will also keep you firm to the end, so that you will be blameless on the day of our Lord Jesus Christ. 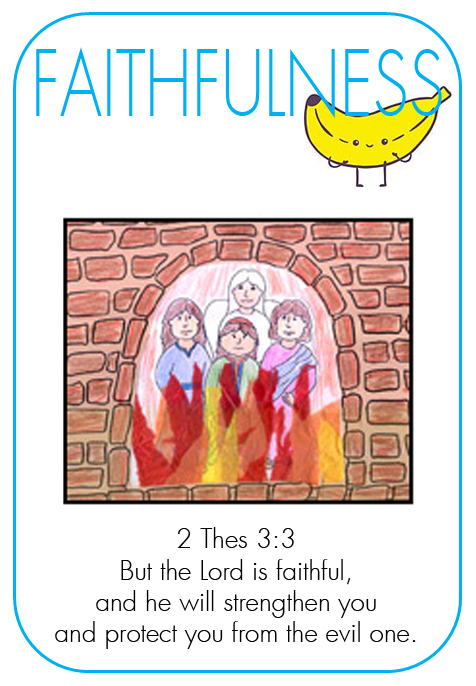 9 God is faithful, who has called you into fellowship with his Son, Jesus Christ our Lord.